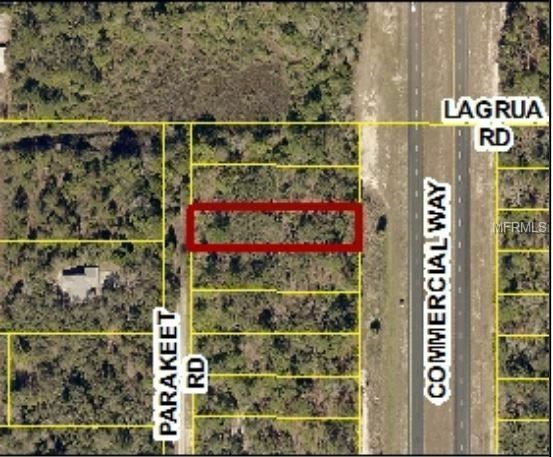 Large Lot On 1/2 An Acre Close To Citrus County Line On The West Side- Lot Next To It For Sale As Well- Both Lots Back Up To Parakeet Road. Combine The 2 Lots For Over An Acre- Call Today! The approximate monthly Principal & Interest payment for this property would be $280. This payment is based on a 30-year loan at a fixed rate of 4.12 % with a down payment of $5,990. Actual lender interest rates and loan programs may vary.